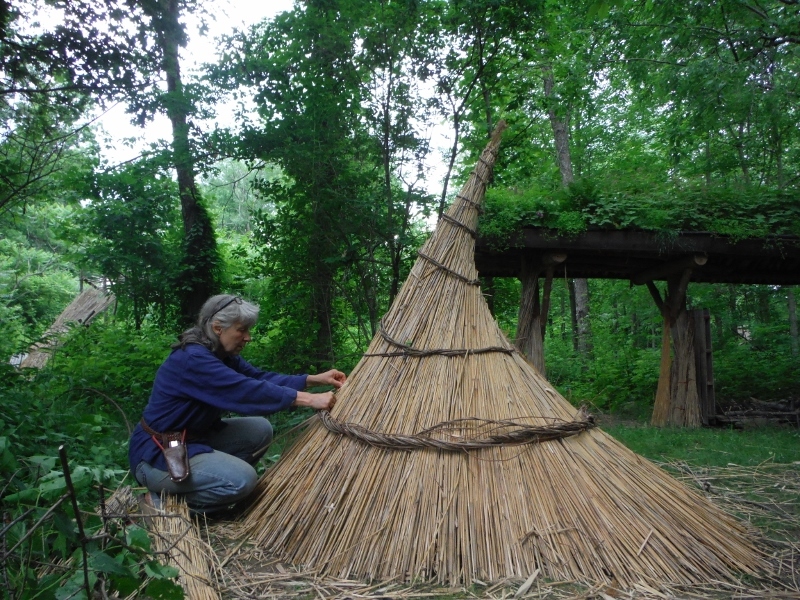 Thatched Cap for the Spiral Chamber ! 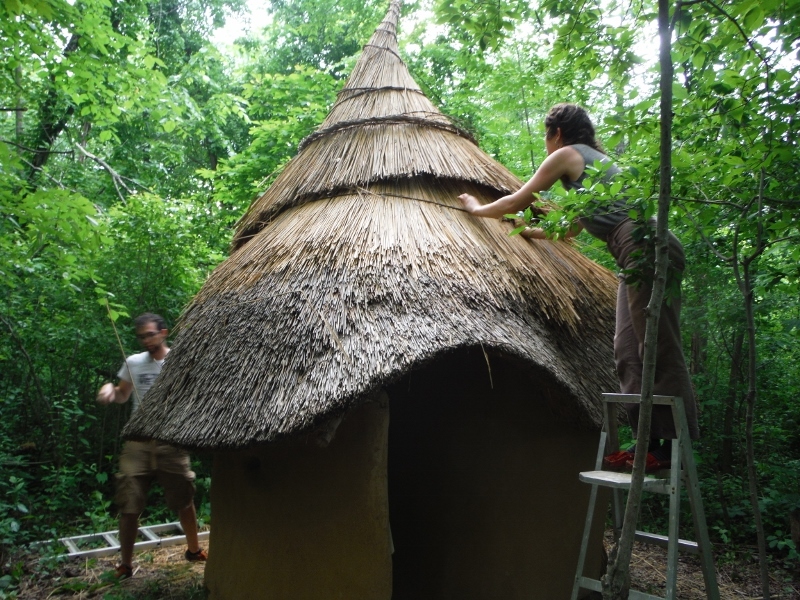 Well done, the thatch job looks great. 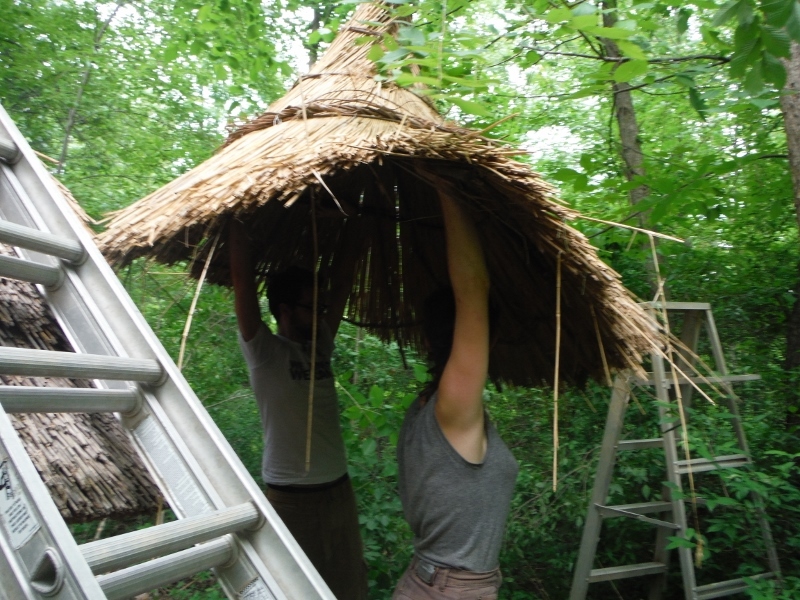 Preparing for the cap by adding an extra course of thatch to the existing roof. Step 1 Building a stick frame on the ground – to create a base for the new cap.. 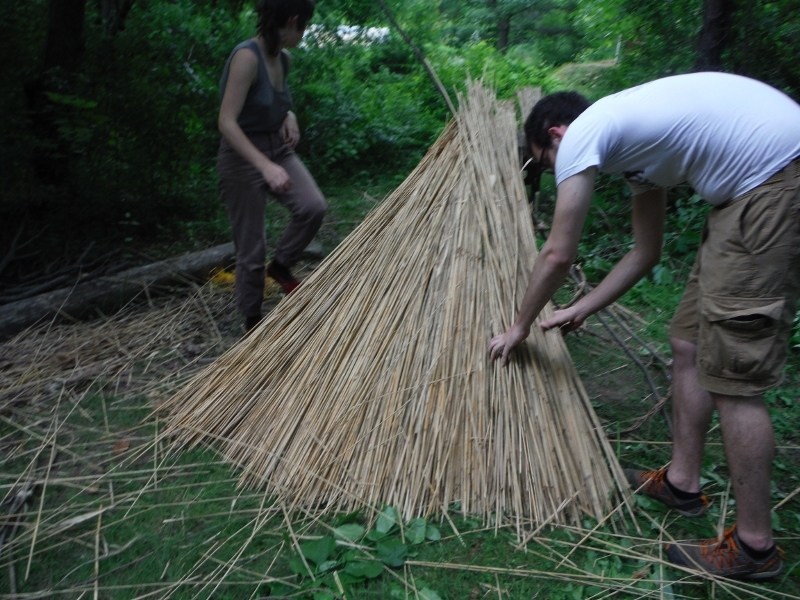 Step 2 Thatching the stick frame. Carrying the Cap – Ruthie and Zack ! Placing it on the roof. 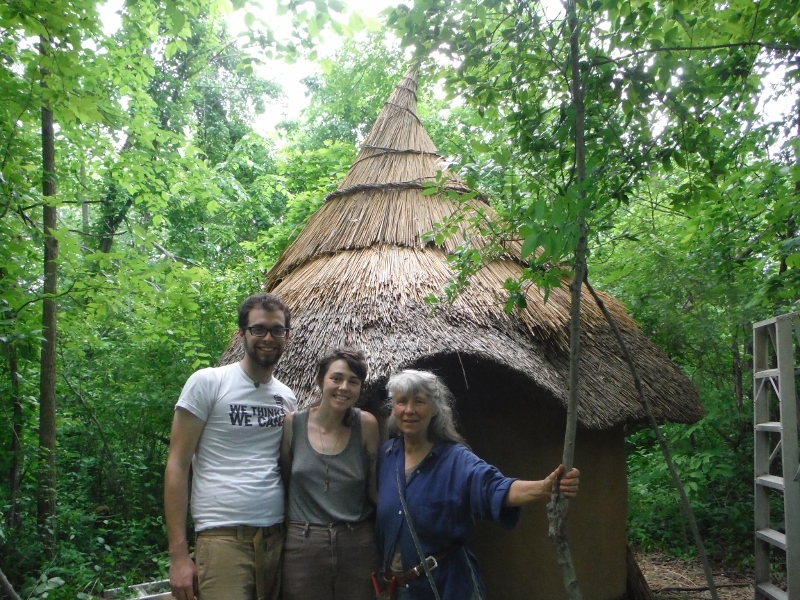 During events a tour of the thatched buildings is given…including a look at the Rocket Stove Mass Heater. Here is a gaggle of folks, from the Full Moon Potluck, gathered on the Heated Bench for a picture ! What bright and beautiful souls. Some of them are working at UPland Hills Farm CSA, others at Highline Camp, the Ypsilanti Food Hub. Wow. 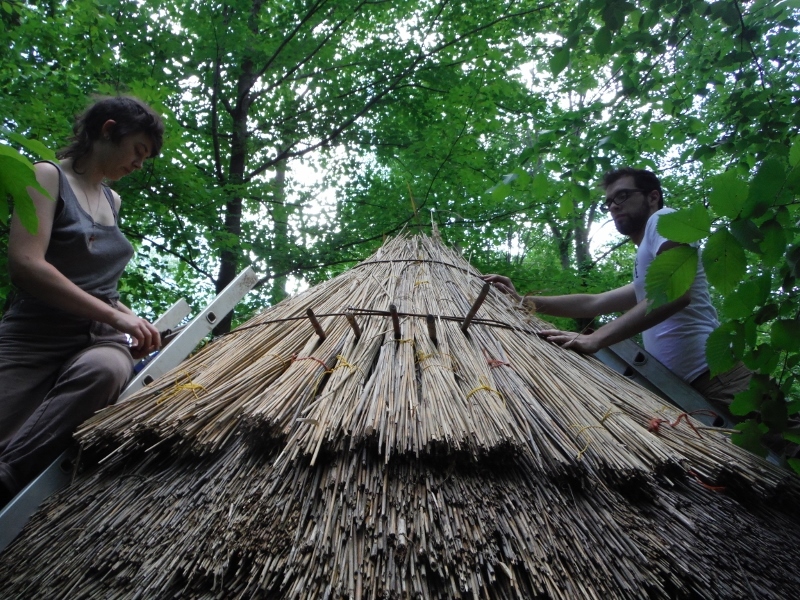 Creating the future together ~ local, ecological…and FUN!